ON Nov 1, 1854, Alfred Russel Wallace arrived in Kuching after a brief spell recovering from a shipwreck on his return to England following his explorations of Brazil between 1848 and 1852. Wallace frequently led expeditions along the Sarawak River to Santubong and into the Chinese-owned goldfields and coalfields near Bau and Simunjan. 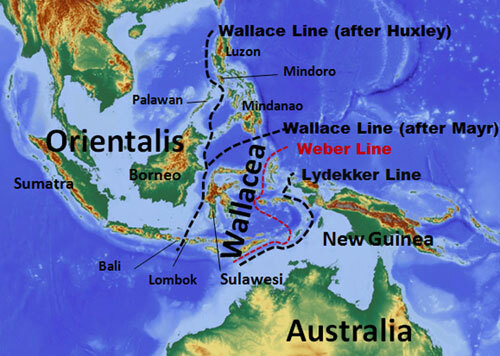 January 1856 saw Wallace’s departure from Borneo as he moved on to Sulawesi Island, Papua New Guinea, Indonesia and Singapore before returning to London in 1862. In 1856, the eminent British geologist Sir Charles Lyell persuaded Charles Darwin to read the ‘Sarawak Law’! November 2013 will be the centenary of Wallace’s death and he is being remembered worldwide as we follow ‘The Wallace Trail’. The second international conference on Wallace will be held by Universiti Malaysia Sarawak (Unimas), Sarawak Forestry Corporation (SFC) and the Sarawak Museum on Nov 7-8. Equally exciting is the recent report in this paper that the Sarawak Museum will open a Wallace Gallery by the end of this year. AR Wallace Memorial Fund had promised to contribute a bust of Wallace for the gallery and this was officially handed over at the end of last month. Charles Darwin is buried in Westminster Abbey in London and the Natural History Museum boasts a grandiose statue of him. Wallace, as requested, was buried in his local churchyard at Parkstone, near Poole, in Dorset on Nov 10, 1913. At 86 years old, and only four years before he died, Wallace was interviewed by a magazine reporter at his home in Dorset. The reporter described Wallace as “a mid-Victorian giant who, in spite of his six-and-eighty years, retains his intellectual strength and a measure of physical strength which would do credit to any a man of half his age. The Malaysian habitat has been exchanged to a many-gabled warm brick house on the southern coast”. During his travels in Sarawak, Wallace reported in his book, ‘The Malay Archipelago’ – published in 1869 – that he was “a confirmed durian eater – a fruit reckoned to be superior to all others”. One of his converts to durian was a young English naturalist, Charles Allen, who accompanied him on many of his specimen collecting expeditions. 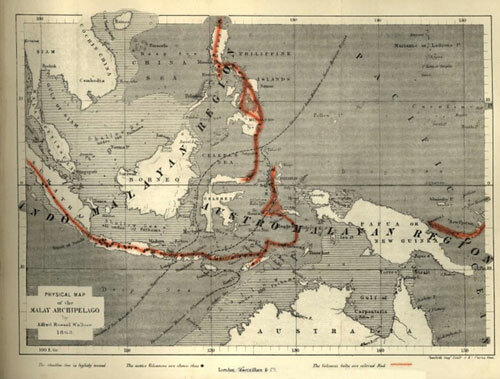 MALAY ARCHIPELAGO: Wallace’s map of the region in 1868. In this book, Wallace’s observations on Rajah James Brooke’s rule are especially revealing. The Rajah “held Sarawak solely by the goodwill of the inhabitants. Rajah Brooke was a great, a wise, and a good ruler – a true and faithful friend – a man to be admired for his talents, respected for his honesty and courage, and loved for his genuine hospitality, his kindness of disposition, and his tenderness of heart”. It would be interesting to know what Rajah James thought of Wallace and the latter’s theories on evolution. A measure of Wallace’s modesty and self-deprecation is best demonstrated by the fact that he dedicated his book ‘The Malay Archipelago – The Land of the Orang-utan and the Bird of Paradise’ to Charles Darwin, “not only as a token of personal esteem and friendship but also to express my deep admiration for his genius and his works”. This was remarkable as Darwin published his ‘Origin of the Species’ after Wallace’s ‘Sarawak Law’ had been published! There is still much to discover and uncover about Wallace’s time in Sarawak and of his contacts, too, in Sabah, but we do know that he was a man way ahead of his time in mid-Victorian English thinking. Proof of this lies in the fact that he recognised that land masses seldom stayed still long in the same place in geological history before the German meteorologist Alfred Wegener published his book in 1915 ‘The Genesis of Continents and Oceans’. Wallace also appreciated that sea levels fluctuated during the Ice Ages. This knowledge he gained in correspondence with Louis Agassiz, a Swiss scientist at Harvard University who was working in Canada and the USA on the shrinking of the Great Lakes after the continental glaciations of North America. Agassiz, however, was an opponent of the theory of evolution. This prompted Wallace to imagine the movement of species across dry sea beds in Southeast Asia and Northern Australia when water was held up by ice on land during the Ice Ages and sea levels fell. Subsequently, with the melting of the ice sheets, world sea levels rose and evolution of species developed north and south of the Wallace Line. In the middle of the area, in what is now known by biogeographers as Wallacea, around Sulawesi, where water was still deep. Thus the animals that arrived there when land bridges once existed were considered unique through genetic isolation. Wallace had observed other species of macaque apes as brown and with tails but those on Sulawesi were black and tailless. Wallace was a most remarkable man. Chief Minister Pehin Sri Abdul Taib Mahmud also recognised this when he addressed the 2005 International Conference on Biogeography and Biodiversity. The memory of this remarkable scientist and his contributions to wildlife studies during his short stay in Sarawak and other parts of Southeast Asia should be recognised. 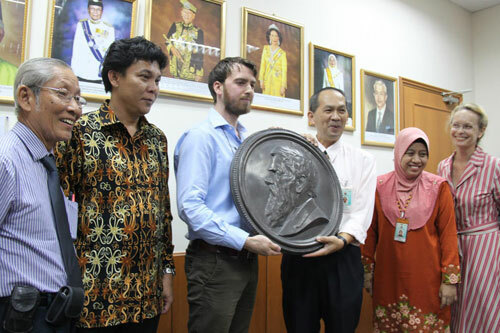 As mentioned, the Sarawak Museum will open a Wallace Gallery before the end of this year and the second International Wallace Conference will be held in November. Hopefully this will only be the start. Alfred Russel Wallace was not only an eminent naturalist and biogeographer but also a social reformer at a time when Victorian and Edwardian England was bursting with industrial development and, inevitably, the destruction of wildscapes and wildlife habitats. It subsequently took England and Wales nearly 40 years after Wallace’s death to take people’s views into account and establish the first British National Park.